"Congratulations Kantara Fence! The Small Business Commerce Association (SBCA) is pleased to announce that Kantara Fence has been selected for the 2009 Best of Business Award in the Fence construction category (...). The SBCA Best of Business Award Program recognizes the best of small businesses throughout the country..."
Winner of the 2009 Best of Business Award in the Fence construction category by the Small Business Commerce Association (SBCA). 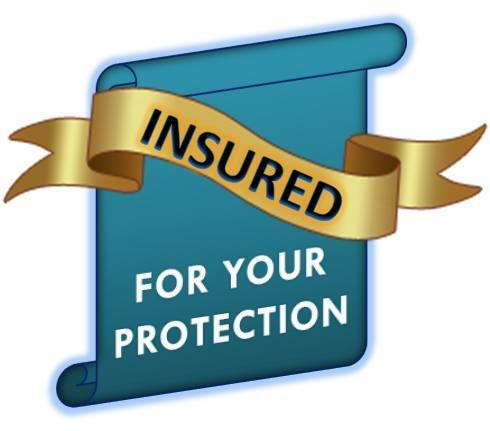 Houston's Premier Source for Fencing Quality and Reliable Services! 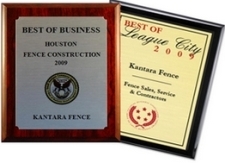 KANTARA Fence strives in providing quality fencing and security services to the Houston Galveston metropolitan area. Our commercial and residential services to businesses and individuals alike include, but are not limited to, chain link, cedarwood, ornamental, high security, outdoor privacy screens, wood privacy fencing styles, protection system with access control technologies, wood fence repair, fence post repair, and fencing protection to sports facilities and schools. Whether it is a new construction or repairs, Kantara Fence is your premier source of quality and reliable service! We have proven ourselves in the region as denoted in monthly surveys, consumer rankings, and other consumer reports. Our exceptional marketing success in our local community and business category has been identified in 2009 by the US Commerce Association (USCA) for enhancing the positive image of small business through service to our customers and community. 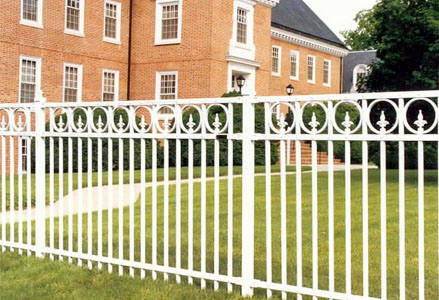 Most importantly, when hiring our services, you can rest assure that you will benefit from a well-engineered and properly installed fence of high-quality. ENHANCEMENT of lovely views while hiding the unpleasant ones.